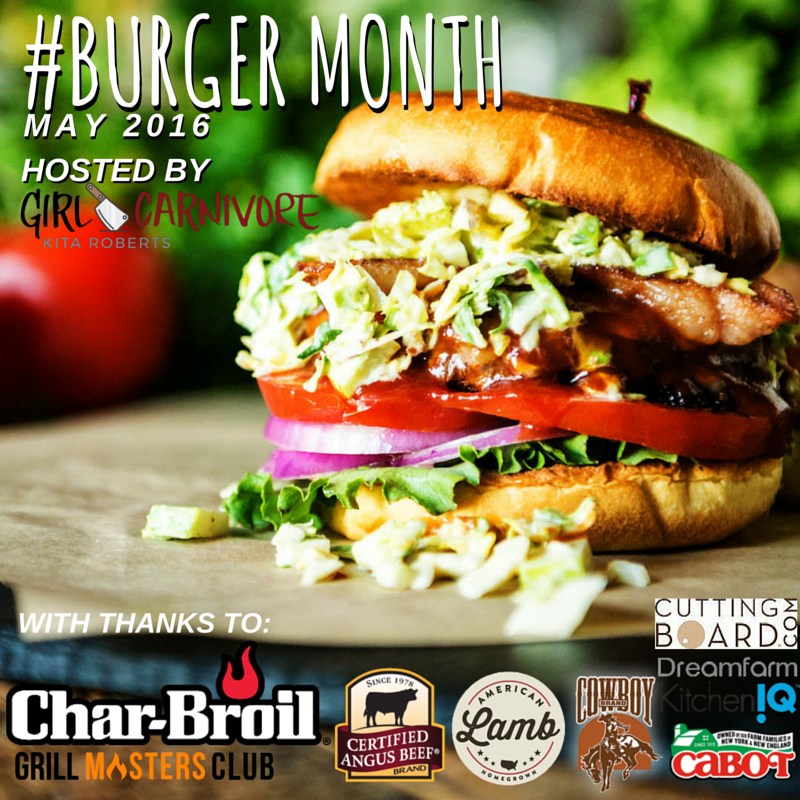 May is Burger Month! It is organized by Kita Roberts who runs Girl Carnivore who I had the pleasure of meeting at a Sunday Supper event in February. 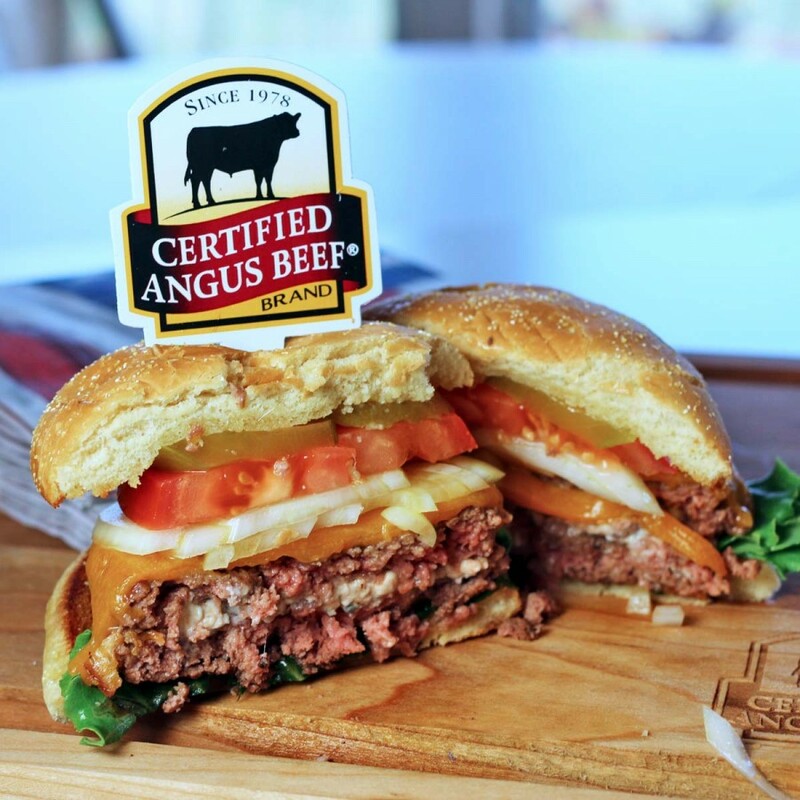 All month long bloggers have been posting their favorite burger creation. There has also been an exciting giveaway going on. 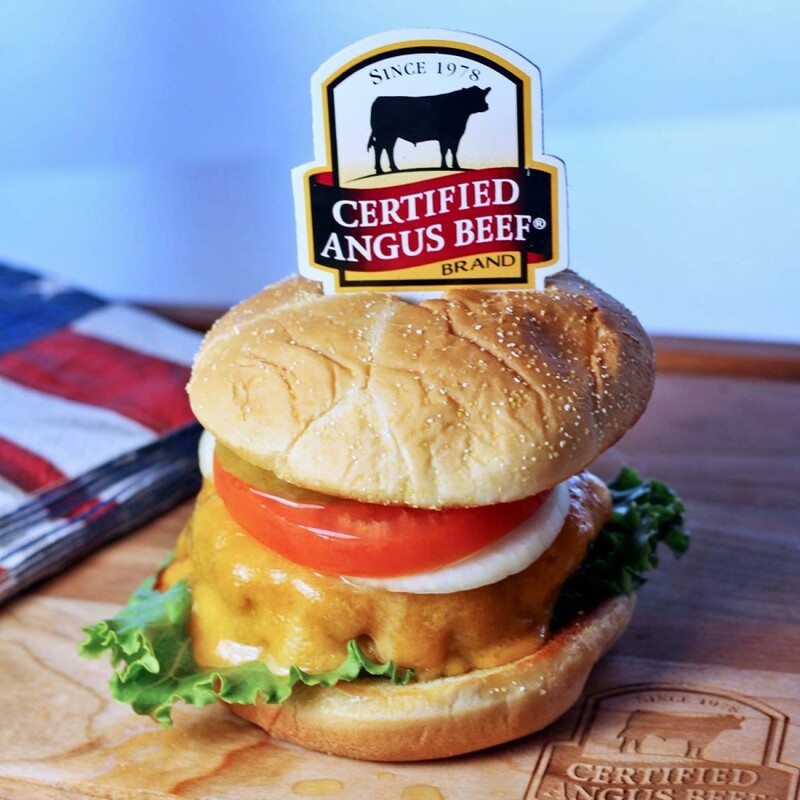 I made these burgers using Certified Angus Ground Sirloin. Look for it at the grocery store. I live in the Tampa area and find mine at a grocery store at St. Pete Beach called Shaner’s Land and Sea. Try their steaks too for one of the best steaks you’ve eaten in your life. 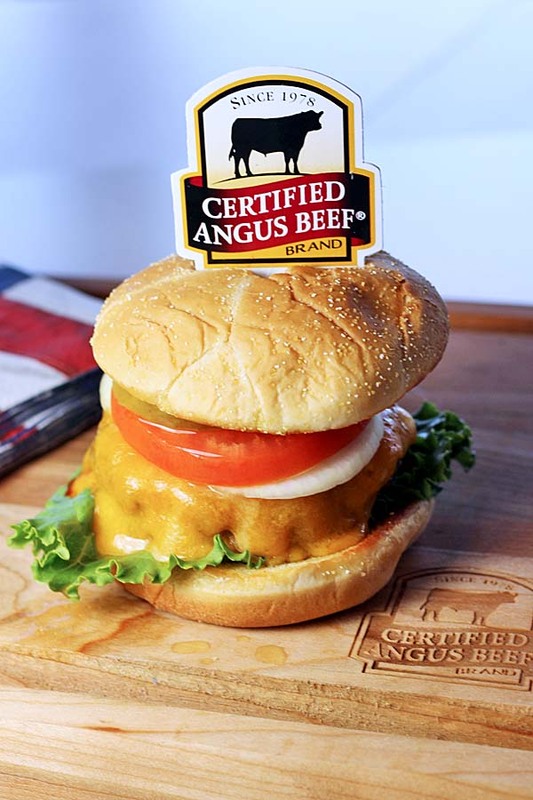 Best hamburgers ever made with Certified Angus Ground Sirloin. Divide the ground sirloin into 4 equal pieces. Divide each piece into 2 pieces. Shape each piece into a burger shape. Put the crumbled blue cheese in the center of 4 of the burger patties. Top with remaining burgers. Salt and pepper well. Cook over medium heat until done to desired doneness. Mine took about 6 minutes. Top with cheese slices. Spread a little butter on the cut sides of the hamburger buns. Toast until lightly browned. Add burgers to bun and add toppings. I’m loving the two types of cheese in this burger!